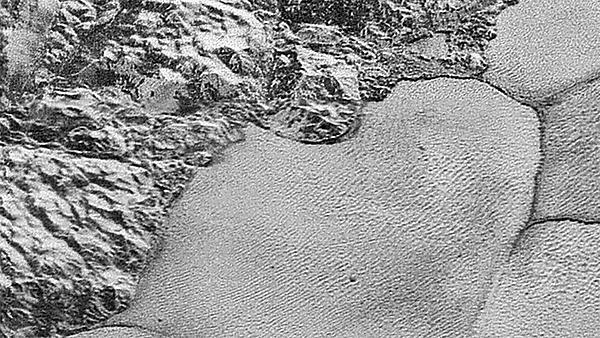 Research led by Dr Matt Telfer, Lecturer in Physical Geography, demonstrates the presence of dunes on Pluto and suggests they are formed from grains of frozen methane and nitrogen which make up the dwarf planet's surface. These are some of the more than 550 individual items of media coverage on this story. Read more about this research. Research by Dr Andrew Turner, Reader in Environmental Science, shows hazardous chemicals such as bromine, antimony and lead are finding their way into food-contact items and other everyday products because manufacturers are using recycled electrical equipment as a source of black plastic. Professor Liz Kay MBE, Associate Dean for Equality and Inclusion and Foundation Dean of the Peninsula Dental School, has been named the sixth most influential person in the dental profession by the magazine Dentistry. Research co-authored by Professor Yaniv Hanoch from the School of Psychology has highlighted that people who ‘see the glass as half full’ are more likely to fall prey to marketing scams. Afungal pathogen which has led to the extinction of entire species in SouthAmerica has been recorded for the first time in critically endangeredamphibians in India. Dr Camille Carroll has featured in national magazine, Progress – the official research publication of the charity Parkinson’s UK. She discusses her work on patient involvement in research, and explains how regularly talking to people with the condition has helped to shape the way she and other researchers conduct their research. Members of the public are more likely to blame the global marine litter crisis on retailers, industry and government, according to new research led by Dr Sabine Pahl and Professor Richard Thompson OBE.